We tend to take water for granted by not drinking enough throughout the day. Of course, you would know by now that remaining well hydrated will be able to help with your alertness, control your appetite, while improving activity and performance, in addition to ensuring that everyday symptoms such as being fatigued, having splitting headaches and dry skin will remain at bay. Since we tend to live real busy lives these days, tasks such as remaining hydrated can slip our minds, which is why BluFit has come up with this smart bottle to eliminate the unnecessary guess work while getting the job done for you. 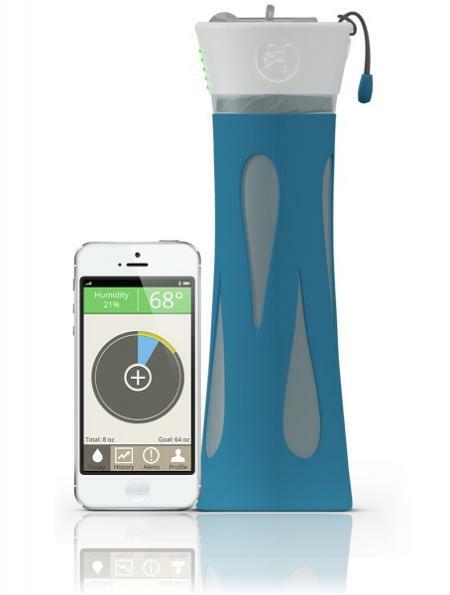 How does this smart water bottle work? For starters, it comes with a sensor which will automatically record the time and amount of water consumed. An integrated app will make sure that users will end up with a program customized to fit their needs, so that there can be no wild accusations thrown at this smart bottle that it does not know what it is doing. The BluFit app will go about collecting a range of data such as weight, age, temperature and humidity to determine exactly what your daily intake should be, and via the app, you can check out your current level of hydration, set and monitor personal goals and adjust your daily intake depending on your activity level and health status. It will retail for $59 a pop when it arrives next March.